I have a very unique product to share with you all today. Something I have never seen anything like! 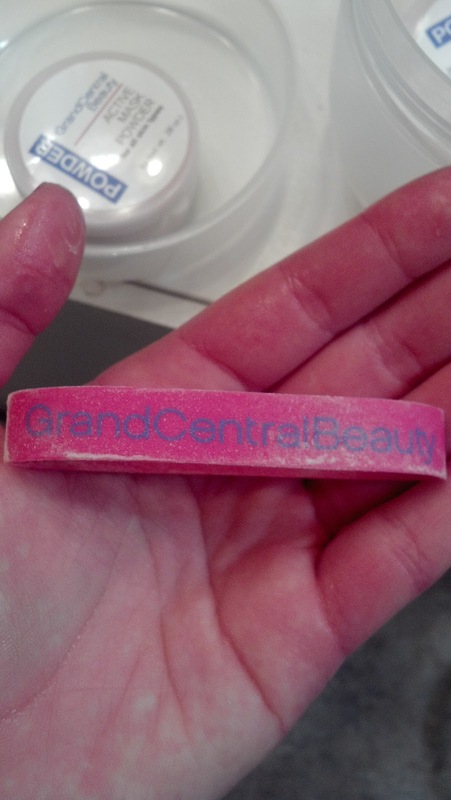 It's from a product line called Grand Central Beauty, which you can find right here. 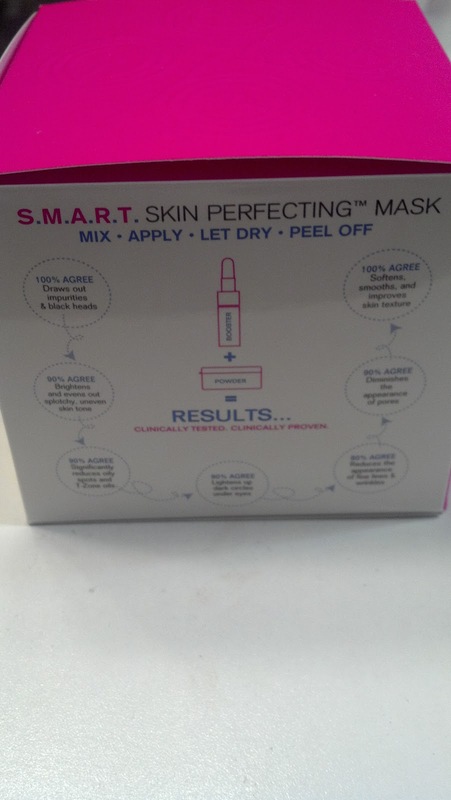 The product that they sent me to review is called S.M.A.R.T. 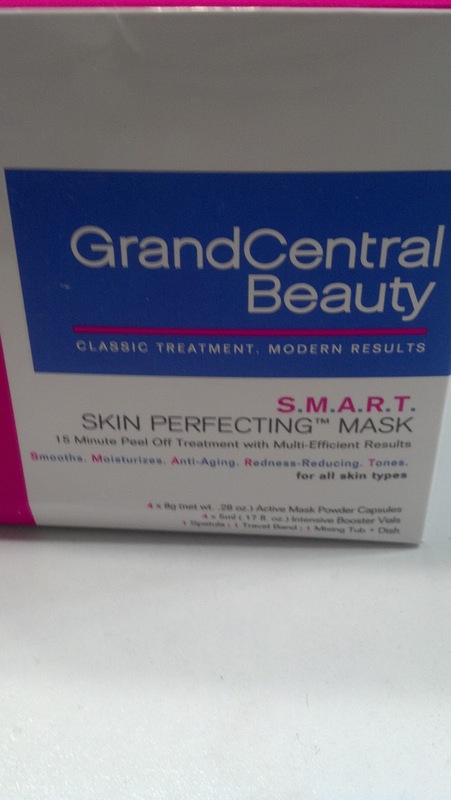 Skin Perfecting Mask. Let me explain what that means and some of the claims the product makes. TONES- Mineral-rich marine powders help to refine pores and draw out black heads while adding suppleness to skin, improving both tone and elasticity. This is a peel-off skin mask meant for people who are on-the-go. It is especially designed for ALL skin types, including sensitive. 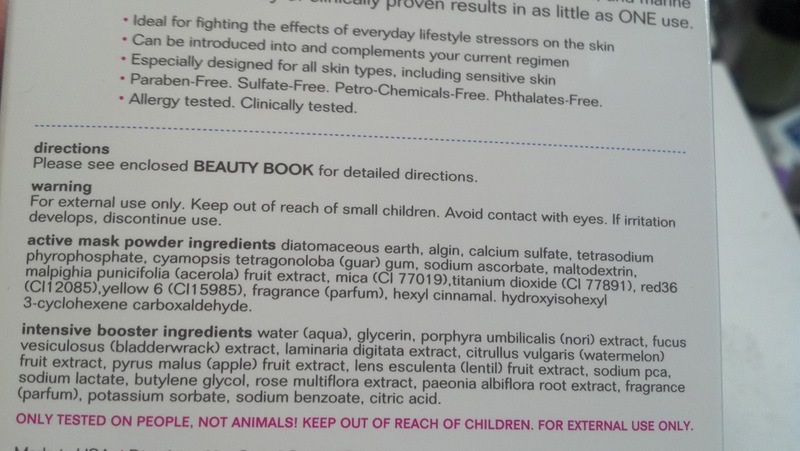 It is paraben-free, sulfate-free, petro-chemicals-free, and phthalates-free. It has also been allergy tested and clinically tested. The price is $75 for the package, which equates to $18.75 for each facial. Ok- so what's in this little box? 1 Mixing Tub and dish. The products come in this little plastic tub. 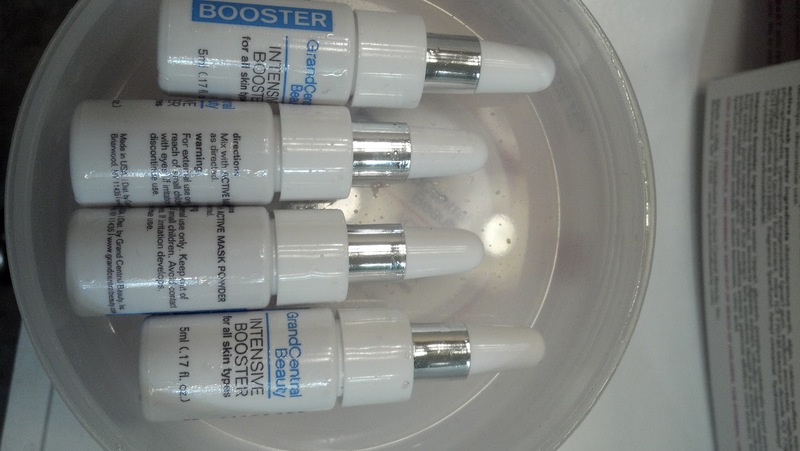 When you open the tub, there are 4 vials in the top, which also serves as the mixing tray! How cool! When you lift the tray out, the 4 powders are in the bottom, as well as a band. What's the use of the band? For easy travel you can place 1 capsule, 1 vial, and the spatula into the travel mixing dish. Place the lid over the travel mixing dish, and wrap with the travel band. I also thought it would just be a cute bracelet if you want to show your support for the company. It reminds me of the Livestrong bracelets! 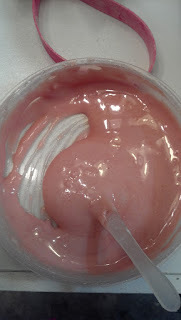 Here's how I created my mask: Using the travel mixing dish, I added 1 capsule of the Active Mask Powder, 1 capsule of cool tap water, and 1 vial of the Intensive Booster. I mixed the contents vigorously with the spatula until it was smooth and creamy. 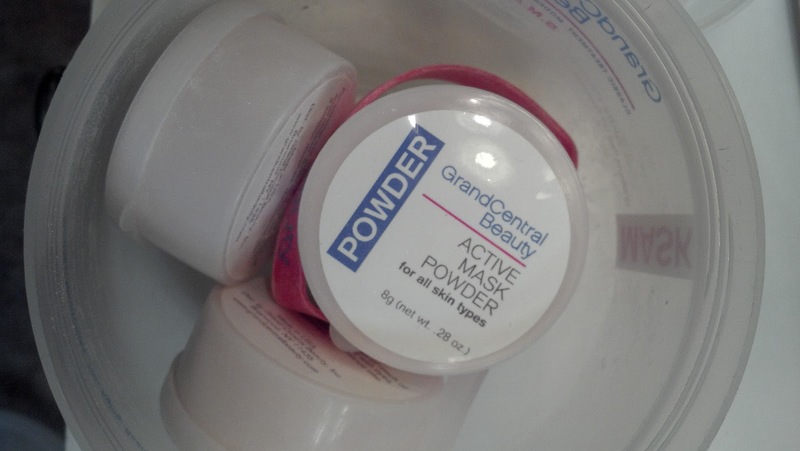 I applied the mask immediately and layered it generously onto my face, which I had just washed and patted dry. In order to apply this entire mask to your face, you have to be about 4 times more generous than you would think. I wish I had a friend over, or my husband, who could have shared this product with me, because after applying about 1/4 of this product to my face, I thought that was plenty. Since I was all alone, I decided to keep applying so as not to waste the product. I also wanted to make sure and use it as indicated to give you all the most accurate review possible! The mask when wet. I got it too close to my hairline...drats! 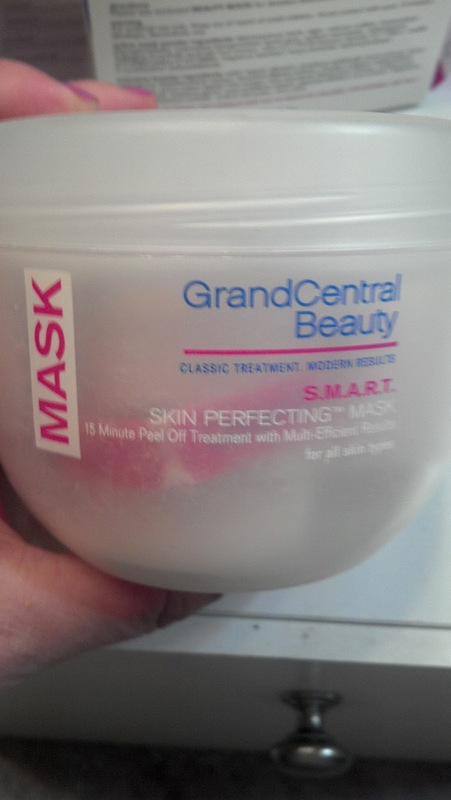 The mask after 15 minutes- right before peel off time! I did not notice much if any scent from this product. If anything, it had a light scent of clay, but hardly traceable. People who have an aversion to smells will be fine using this product. In clinical studies, this product has had rave reviews, and many claims of what this will do for your skin. I will list them below, and everything I felt I noticed in my own skin from using this mask I will highlight in yellow! 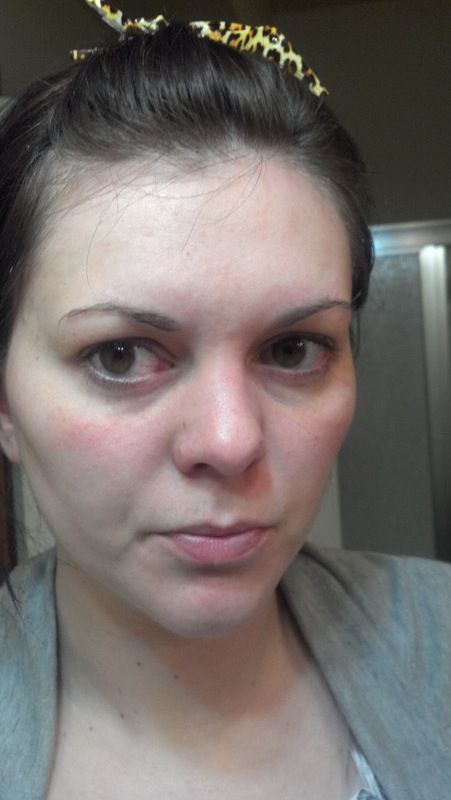 Right after using the mask, I had to scratch off a lot of the mask around my nose, so it was pretty red. 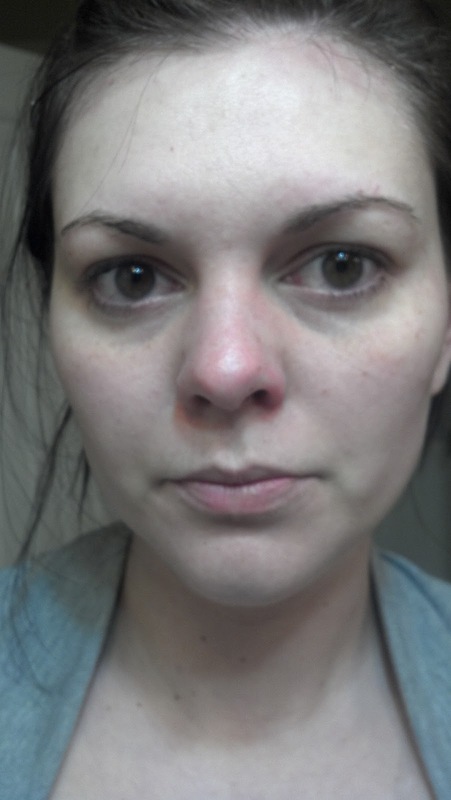 10 minutes later, brighter, smoother, more even skin tone. I liked that there was no water in the package- you add your own water. It certainly makes it more travel friendly. 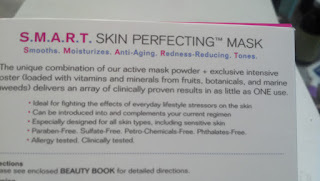 I love that this product is easy on the skin with its natural ingredients. This was a super fun mask to apply- it seemed to expand on my face and the inside of the mask took on the texture of my skin. 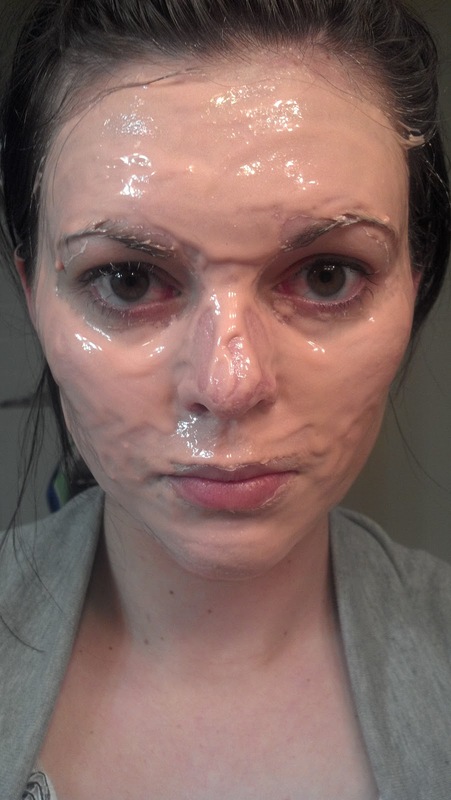 When I peeled off the mask, I could see my individual pores on the skin side of the mask. It makes me feel like it really penetrated my skin and purged it of all the icky-ness inside. A problem area on my cheek that normally looks like a large, infected pore still seemed large, but felt healed over- the pore was not as prominent. I was able to gently extract the pimple as it was brought to the surface. When my initial tightness went away, I was left with brighter skin. I agree that the product could be formulated especially for ANY skin type since the ingredients are so natural and won't likely cause skin reactions, but I think it would be especially great at zapping oil and extracting stubborn pimples. 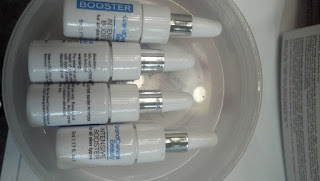 When I opened the package, I noticed right away that the little vials were leaking and there was liquid in the lid. When I removed that tray, I noticed that the powder vials had leaked a lot of powder. The packaging could use improvement! 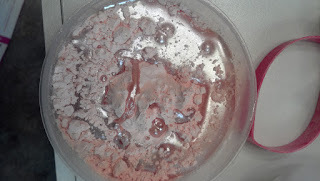 The powder got everywhere when I was mixing, even though I was being careful. My immediate reaction when applying the mask was that it was WAY too much for a one use application. I cringed a little bit when applying it to my face because I knew a lot would be going down the drain and not put to good, beautiful use. 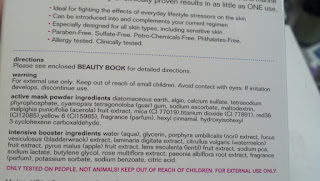 Not all the product would peel off my face and would not remove just with water- I had to scratch a lot of it off which left my face a little red. 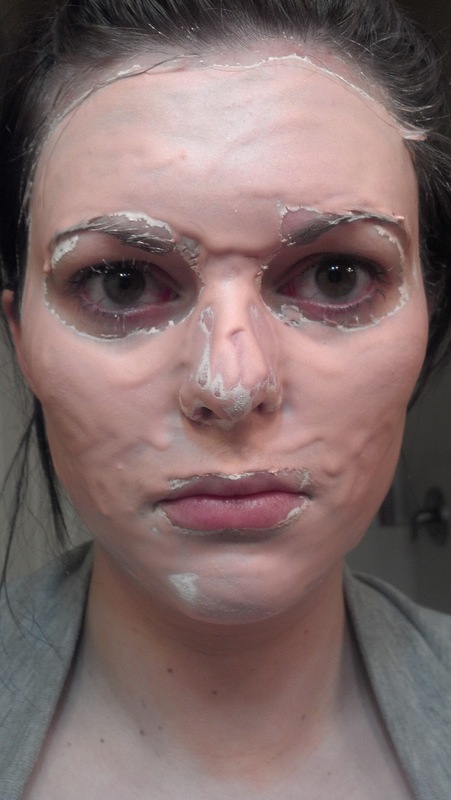 The directions indicate to "give extra attention and layer more product to all the outer edges and under nostrils, as these areas will dry much faster." When I put a lot of product under my nostrils, and the mask seemed to expand to my fast, it was very hard to breathe. My skin felt a little tight when the mask was drying, but I still feel like I needed extra moisture after the mask. 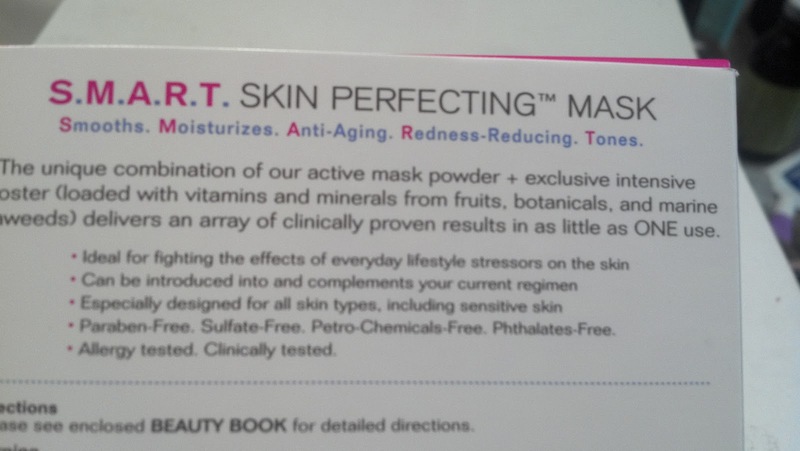 Overall, after reviewing this product, I feel it would be best for people with an oily complexion, and if it were repackaged into more vials and capsules. Rather than 4 uses, I think there is enough product for at least 12 uses. That would bring the price from $18.75 a mask to $6.25 a mask. Not too shabby! I really appreciate the opportunity to review this product. Although provided to me for a review, the opinions are my own. 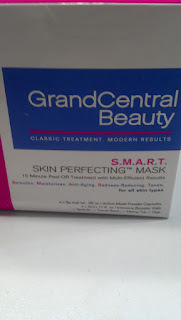 I urge you to check out www.grandcentralbeauty.com to see if the product might be something of interest to you. If you don't mind spending a little extra money, and have a little oil you need dried up, this could be an excellent addition to your facial regimen. Thanks for this review! It's always good to know what skin type masks are good for!